Think 'out loud' with us. Whether you're typing hello-world for the first time, or a billion-download app developer, join us for casual discussions about learning and problem solving in the Python programming language. 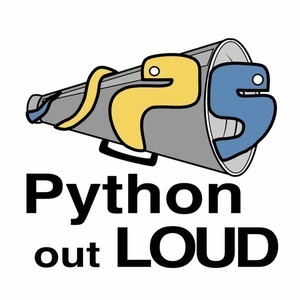 We're proudly a supporting member of the Python Software Foundation (PSF), and we adhere to the PSF Code of Conduct. And if you enjoy the show, please consider supporting us with a one-time donation through PayPal, a recurring donation through Patreon, or with a review in iTunes, or wherever you get your podcasts. Every review helps.